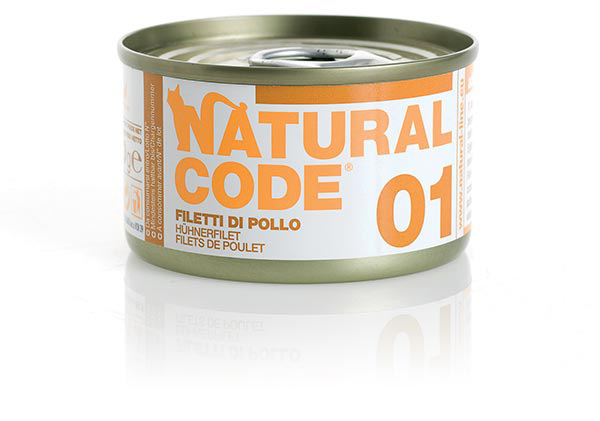 Our fillets are made with chickens coming from controlled livestocks and free-range livestocks. 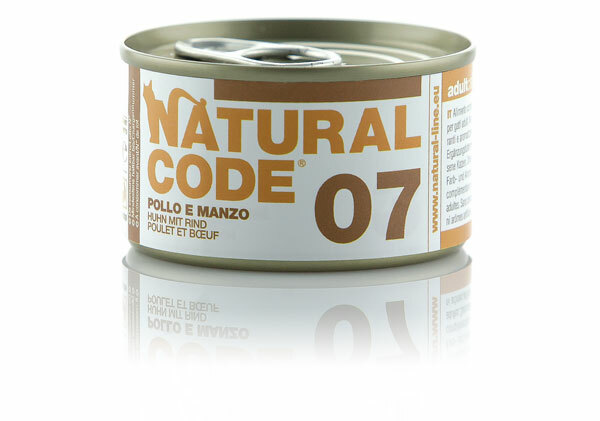 Chicken meat is extremely digestible and it provides your cat with high biologic value proteins. Together with chicken, we only add a small percentage of rice, an easily digestible and energetic food. 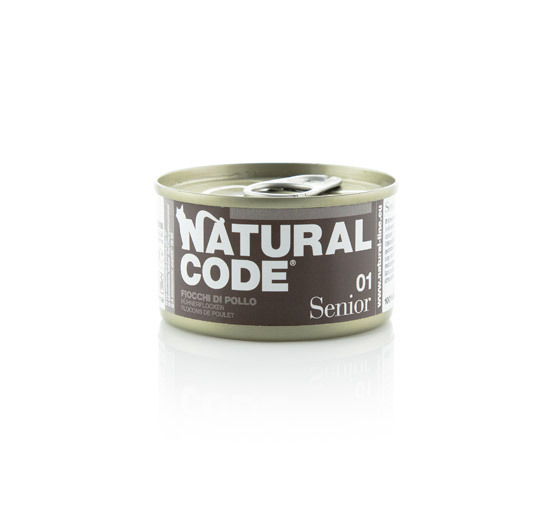 Supplementary food for adult cats. 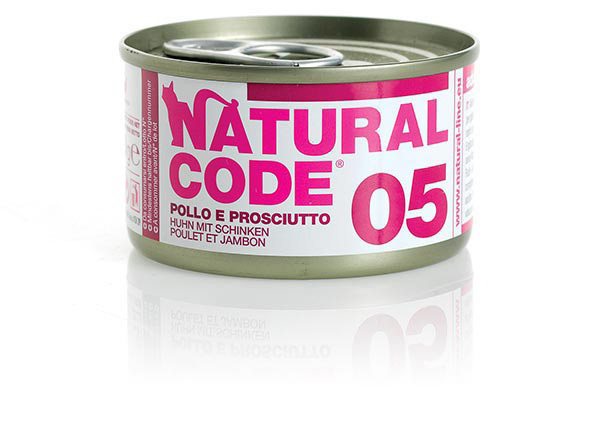 Without preservatives, colorings and flavorings. Notes: Cooking water equal to 24% of the recipe. 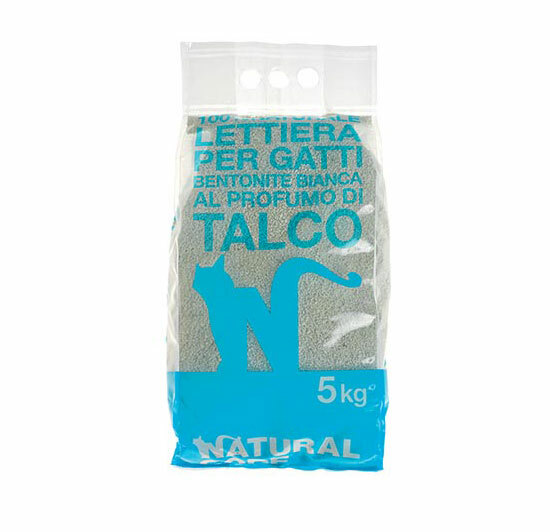 This high-quality protein food is mainly composed of chicken and shrimps, the latter providing abundant quantities of protein and mineral salts that are essential for your cat skeletal growth. We also add a small quantity of rice into the recipe (1%) in order to provide cats with a minimum quantity of easily digestible carbohydrates. 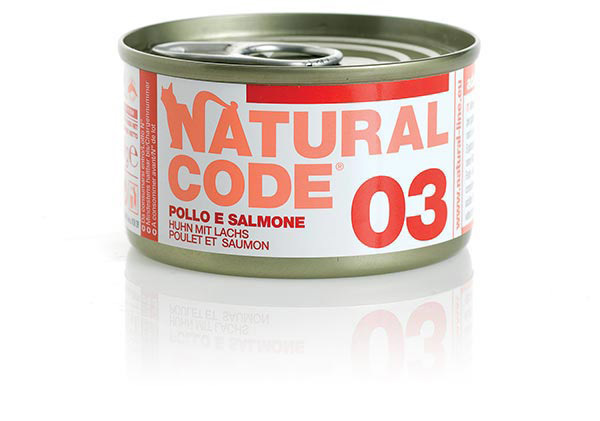 This recipe is made with equal percentages of chicken and salmon: chicken is an indispensable food for the cat diet and salmon enriches the overall taste of the recipe while providing a relevant amount of essential fatty acids and vitamins. We add a limited rice percentage (1%) that provides easily digestible carbohydrates. Notes: Cooking water equal to 29% of the recipe. This recipe is mainly composed by chicken meat, which is a highly digestible protein source for your cat. 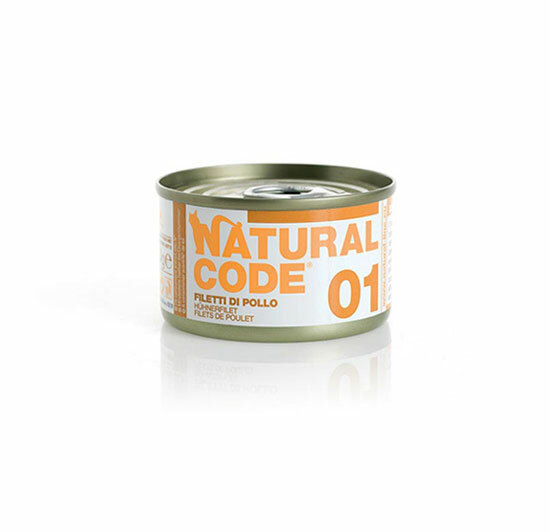 In addition to chicken meat, we add some tuna fillets, which provide Omega 3 fatty acids and mineral salts. Lastly, we throw in a limited rice percentage (1%) that provides easily digestible carbohydrates. This recipe is composed by two easily digestible protein sources: chicken meat (rich in protein) and ham (relevant source of B-group vitamins and mineral salts). Lastly, the recipe is also composed by a small rice percentage (1%) that provides easily digestible carbohydrates. 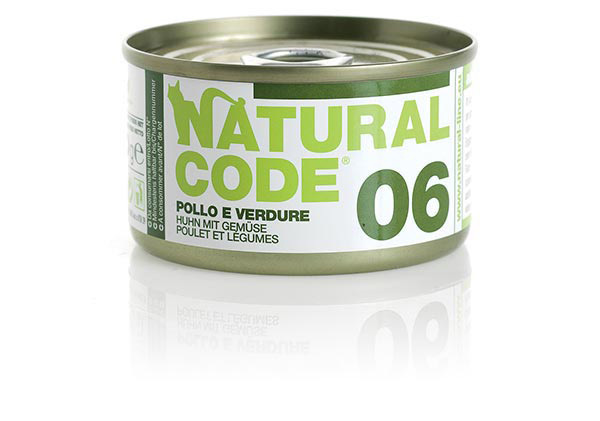 Chicken provides your cat with high biological value proteins and vegetables (like peas) that provide vitamins (mostly pro-vitamin A & Vitamin E) and fibre that help your cat intestinal transit. 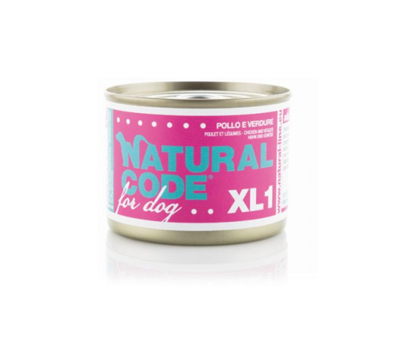 The recipe also contains a small quantity of rice that is an easily digestible source of energy for your cat. This recipe is composed by highly digestible, protein rich meat cuts that provide your cat with essential amino acids that are fundamental nutrient elements for the cat health. 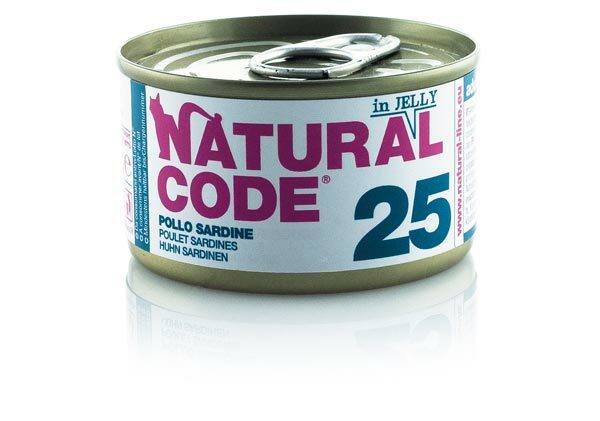 Additionally, amino acids are also indispensable for your cat muscular upkeep. 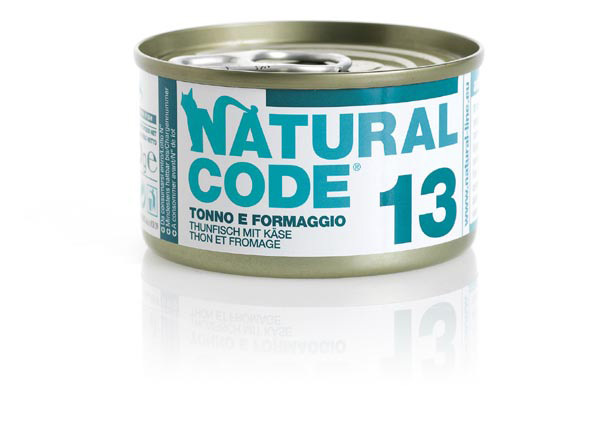 This formula also contains a small quantity of rice that represent an easily digestible source of energy for your cat. Tuna is a source of high quality proteins and it contains Omega 3 polyunsaturated fatty acids that are essential for your cat hair gleam as well as for the health of his skin. 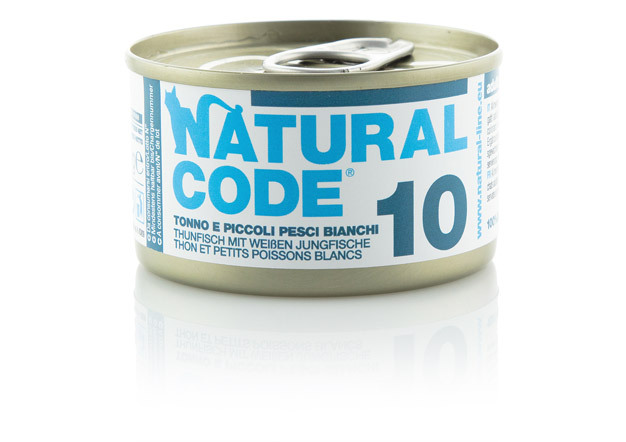 This formula containing both tuna and shrimps provides your cat with highly digestible proteins and it contributes to the mineral salts recommended daily intake. 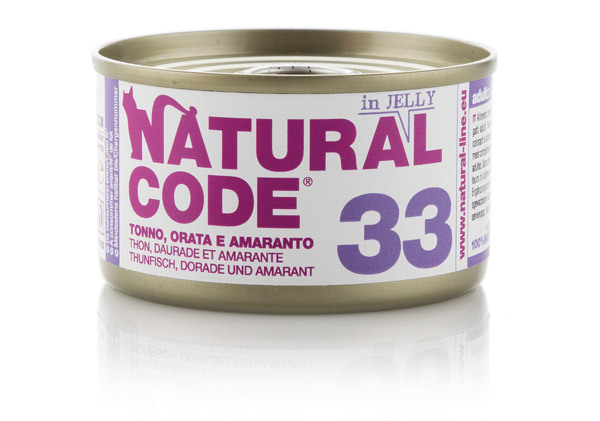 Also, Tuna and Shrimps contain essential fatty acids that are essential for your cat hair gleam as well as for the health of his skin. This recipe originates from the mix of two key ingredients: Tuna -which is a source of high quality proteins- and whitebait that is rich in high biological value proteins and minerals such as potassium, phosphorus, calcium and Vitamin A (the latter being very important for the eyes and the skin health). 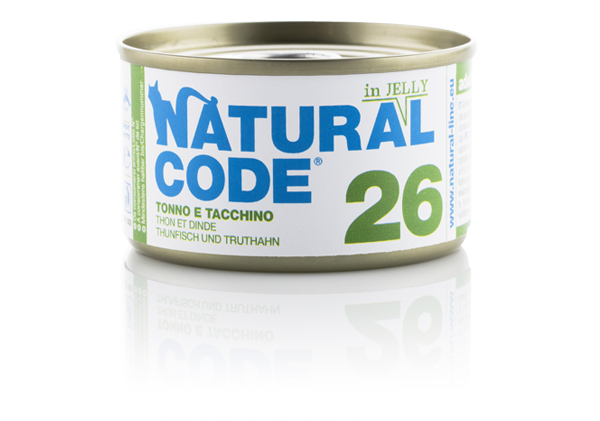 Tuna is a source of proteins, Omega 3 polyunsaturated fatty acids as well vitamins and mineral salts that are fundamental for the cat health. 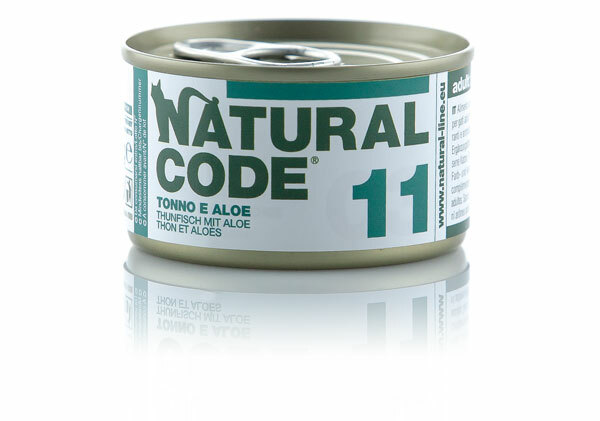 The addition of Aloe constitutes a valuable food enhancement thanks to its anti-inflammatory properties and its ability to lubricate the digestive apparatus. Notes: Cooking water equal to 44% of the recipe. 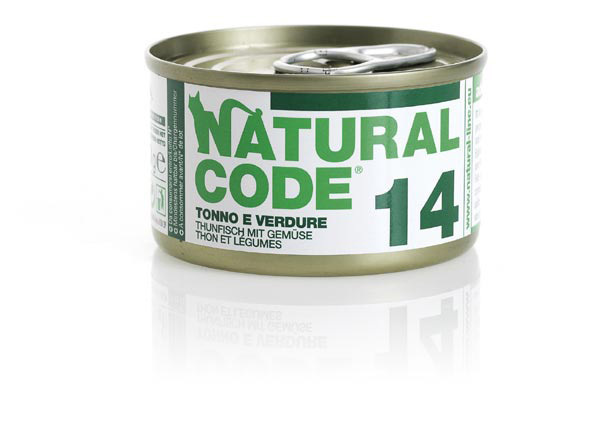 Beef and Tuna not only are some of the cat favourite ingredients but they also contain high digestibility and high biological value proteins. 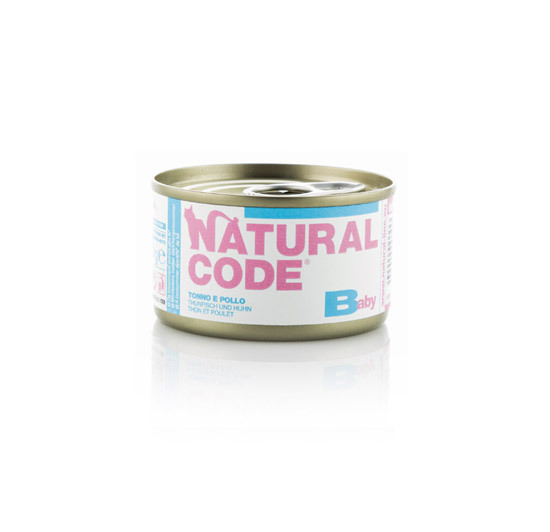 Beef meat contains Group-B Vitamins that combined with Tuna abundance of Omega 3 polyunsaturated fatty acids make the ideal food to preserve the cat health and vitality. This recipe mainly consists of Tuna, a high protein source that is also rich in Omega 3 polyunsaturated fatty acids as well as vitamins and mineral salts. Thanks to its abundant calcium content, the addition of small quantities of cheese helps boosting your cat bones health. 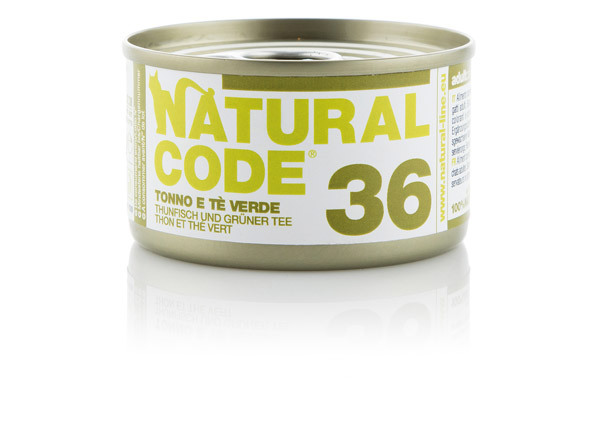 Tuna is the key ingredient of this recipe and it is turns out to be extremely tasty for your cat. 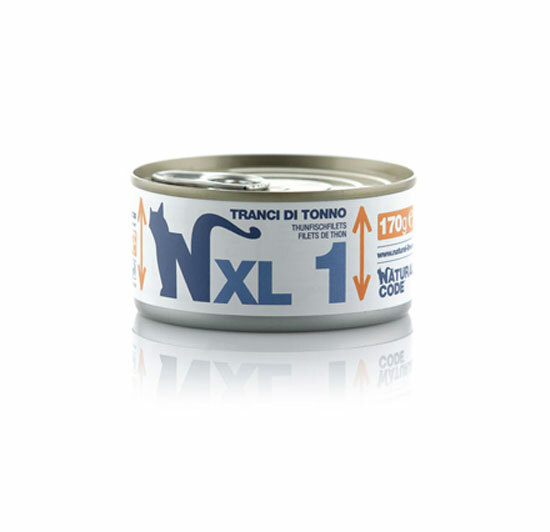 Tuna has a high nutritional value thanks to its proteins-rich and lipids-rich meat thus contributing to the overall cat health. The addition of vegetables -like carrots- increase the fibre intake, hence boosting your cat intestinal wellness. Notes: Cooking water equal to 25% of the recipe. This recipe is based on few nutritious ingredients: chicken flakes seasoned with chicken liver, rice and vegetables. 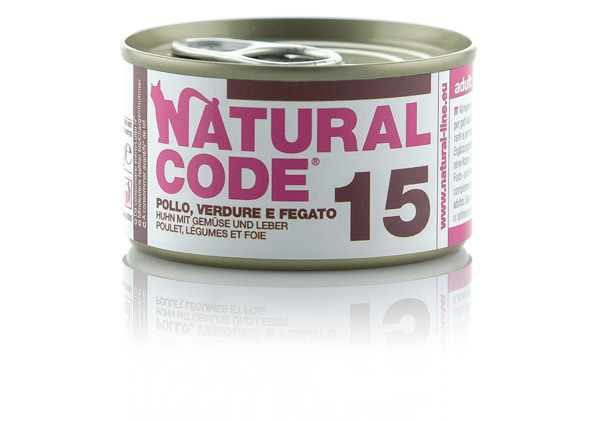 While chicken meat provides your cat with high biological value proteins, chicken liver is a great source of Vitamin A, which is extremely important for the health of all the epitheliums. Additionally, vegetables contribute to the gastrointestinal transit of your cat and rice provides your cat with a small, easily digestible quantity of carbohydrates. 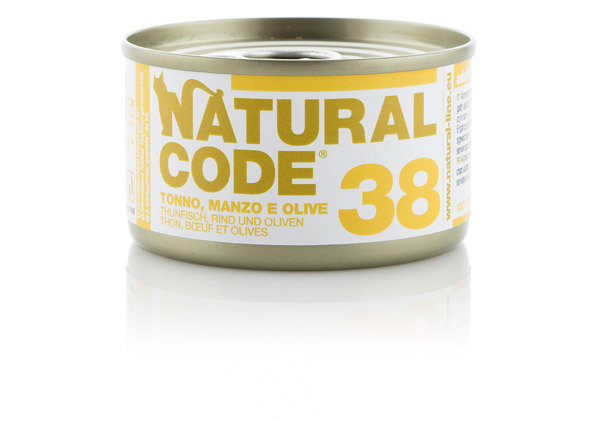 This recipe mainly consists of bonito, a selected marine fish that has a rich biological value thanks to its protein content and its abundance of Omega 3 polyunsaturated fatty acids that guarantees the cellular fluidity of the membranes and the functionality of the cat immune system. Additionally, the cooking broth works as a boost to the tastiness of this recipe. Even for this recipe, a small quantity of rice provides your cat with easily digestible carbohydrates. Notes: Cooking water equal to 50,75% of the recipe. 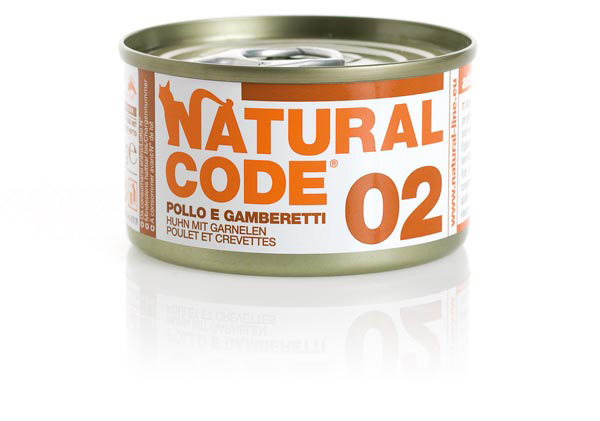 This formula is composed by two meat cuts that are highly digestible and are rich in high biological value proteins. In particular, ostrich meat is an excellent food for your cat as its meat is extremely tender and low fat. Moreover, since ostrich belongs to the red meat category, it is a source of iron and B-Group Vitamins. Lastly, this recipe has a small rice content that provides easily digestible carbohydrates. This recipe combines the properties of green fish to those of meat. In fact, mackerel is rich in mineral salts like potassium, phosphorus, magnesium and it is a source of Omega 3 fatty acids, which are important for skin health and the cat fur gleam. What is more, ham is an easily digestible meat that is rich in elements like iron, copper, zinc, selenium and B group vitamins. This recipe mainly consists of chicken meat: its digestibility and its content of high value proteins makes it an excellent food for your cat. 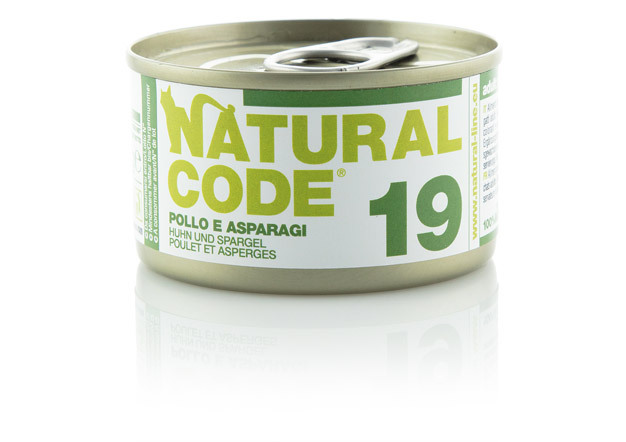 Moreover, the addition of asparaguses (which are fibre-rich, diuretic vegetables) contributes to the health of your cat intestine. Even for this recipe, we added a small quantity of rice to provide your cat with easily digestible carbohydrates. Notes: Cooking water equal to 28% of the recipe. 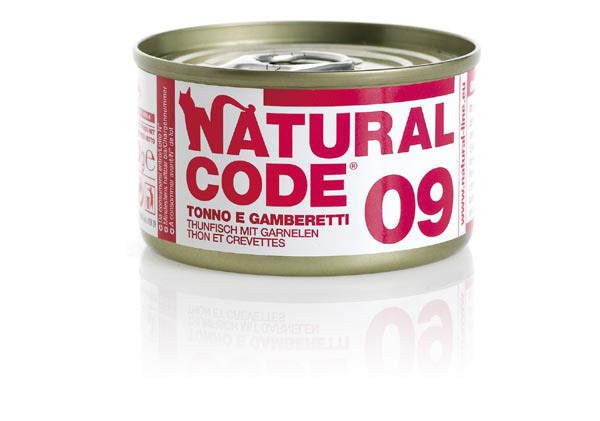 This recipe is made with ingredients that are excellent for the health of your cat: besides its content of proteins with high biological value, tuna is rich in Omega 3 essential fatty acids that nurture the fur gleam as well as the skin health of your cat; additionally, beans are not only a source of proteins but they are also rich in carbohydrates that stimulate the cat vitality; seaweeds contain vitamins, mineral salts and fibre, the latter helping the gastro-intestinal transit of your cat. Notes: Cooking water equal to 23% of the recipe. 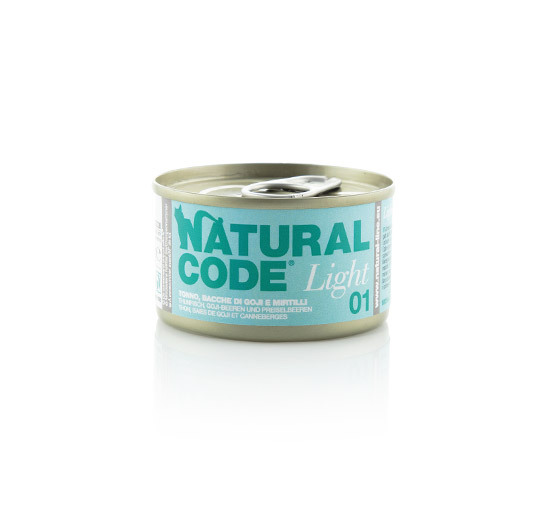 Tuna -which is the main ingredient of this recipe- has a high content of Omega 3 fatty acids that contribute to boost the immune system and the skin health of your cat. 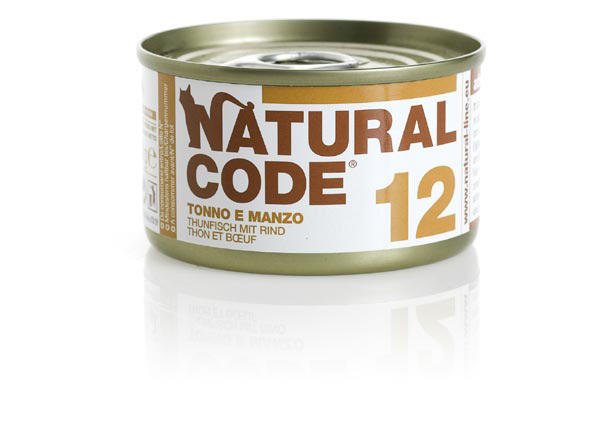 Furthermore, both Tuna and Lamb are an excellent source of B12 Vitamin. Also, a small quantity of potatoes guarantees that your cat has the energy he needs throughout the day. Lastly, a jelly solution is added to the recipe in order to increase its tastiness and its water content. Notes: Cooking water equal to 49,07% of the recipe. 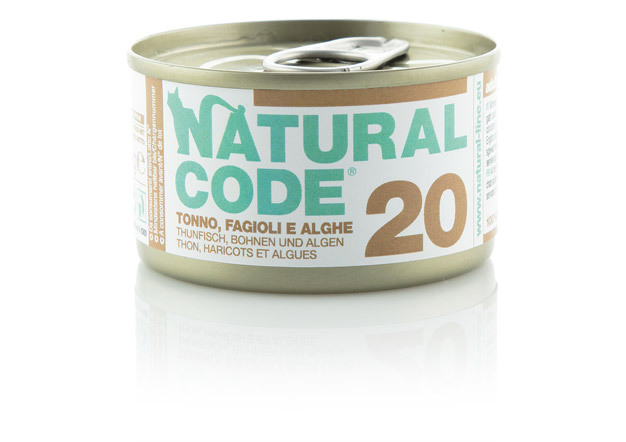 Tuna is the main ingredient of this recipe and it provides your cat with highly digestible proteins and essential amino acids. 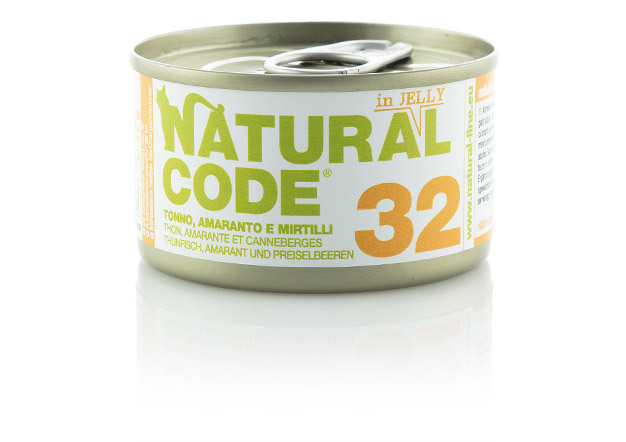 Moreover, tuna is an excellent source of Omega 3 long chain fatty acids that work as a phenomenal boost to the health of your cat immune system and its skin. 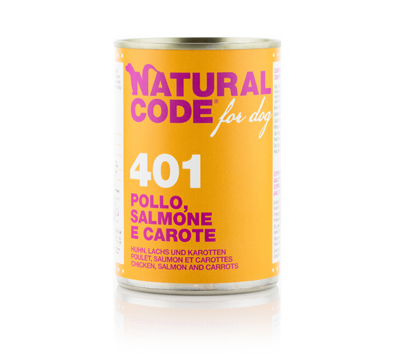 A limited content of beef liver is included in the recipe to increase the Vitamin A intake. Lastly, a jelly solution is added to the recipe in order to increase its tastiness and its water content. Tuna is the principal ingredient included in this recipe and it turns out to be extremely tasty for your cat. 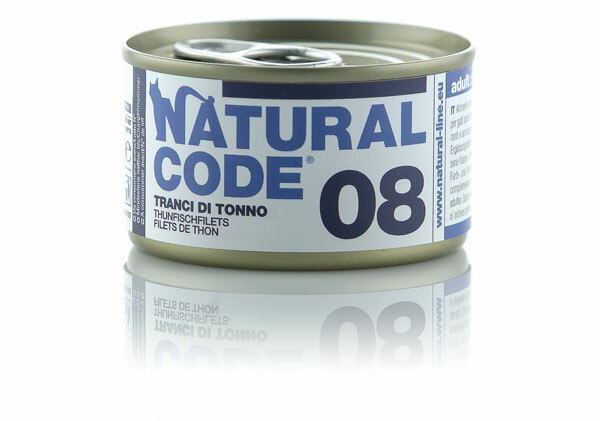 Tuna has a high nutritional value relatively to both its protein and its lipid content thus making it an excellent food for your cat health. The addition of vegetables like carrots helps increasing the fibre intake, which is useful for the intestinal well-being of your cat. a small quantity of potatoes guarantees that your cat has all the energy he needs throughout the entire day. In conclusion, a jelly solution is added to the recipe in order to increase its tastiness and its water content. 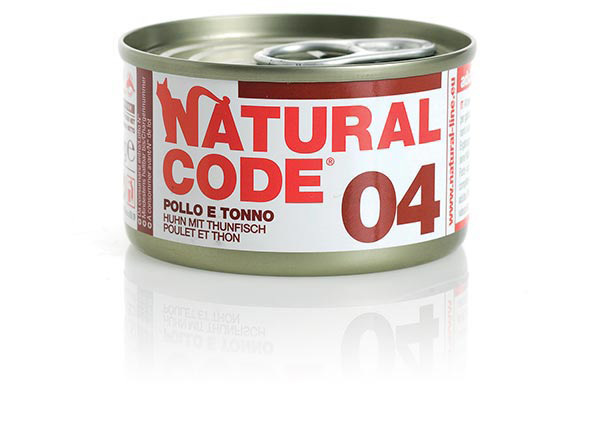 All the ingredients included in this recipe are excellent for the health of your cat: Not only Tuna is rich in high biological value proteins but it also contains Omega 3 essential fatty acids that nurture the fur gleam as well as the skin health of your cat; Beef contains highly digestible proteins and it is a source of Group B Vitamins. 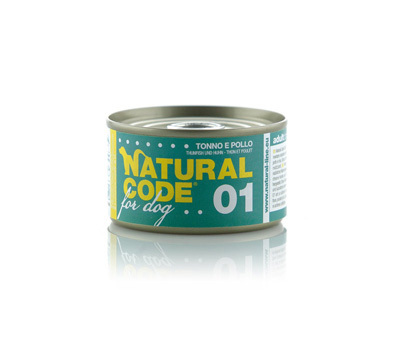 The addition of vegetables increases the recipe fibre content which is extremely useful for your cat intestinal well-being. In conclusion, a jelly solution is added to the recipe in order to increase its tastiness and its water content. 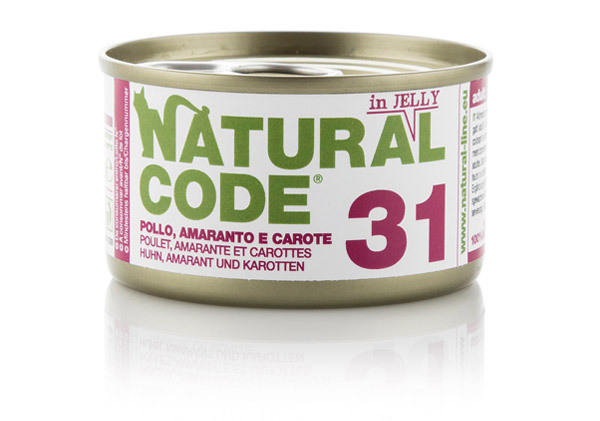 This recipe mainly consists of chicken meat -which contains high quality proteins- and sardines that are rich in Omega 3 essential fatty acids which help your cat boosting his immune system, his skin health and his fur gleam. 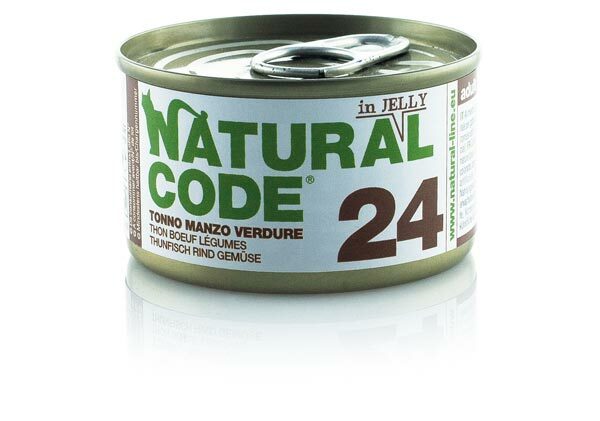 A jelly solution is added to the recipe in order to increase its tastiness and its water content. Notes: Cooking water equal to 49,17% of the recipe. Tuna is a fish rich in Omega 3 fatty acids and mineral salts, and turkey is a source of high biological value protein, easily digestible. 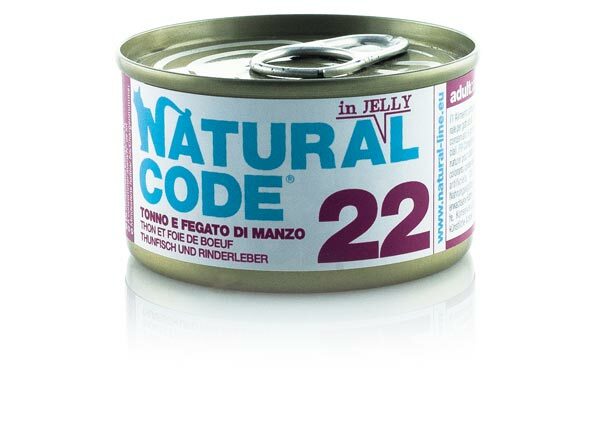 A jelly solution is added to the recipe in order to increase its tastiness and its water content. Notes: Cooking water equal to 48,72% of the recipe. 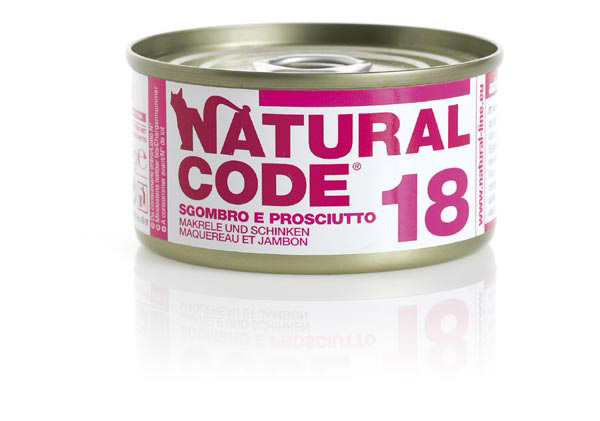 The association of tuna and surimi characterize this recipe by high biological value protein and the presence of Omega 3, basic for the health of the cat, hair shine and health of the skin. 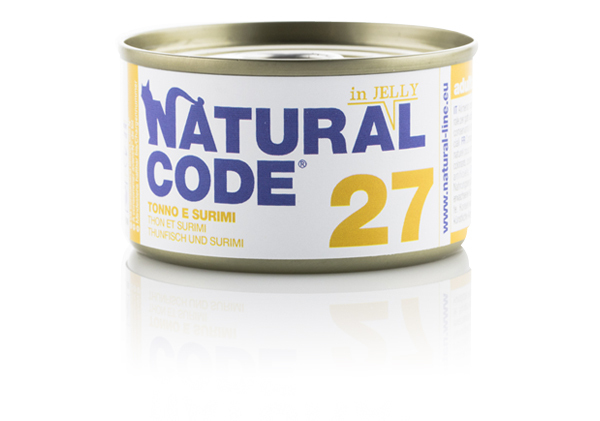 A jelly solution is added to the recipe in order to increase its tastiness and its water content. 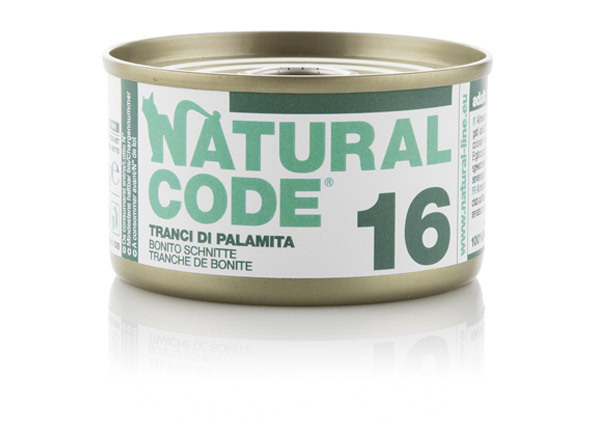 This recipe combines all the qualities of the seafood, with tuna, rich in Omega 3 fatty acids, surimi, which gives high biological vale proteins and shrimps, rich in vitamins and much appreciated by cats. 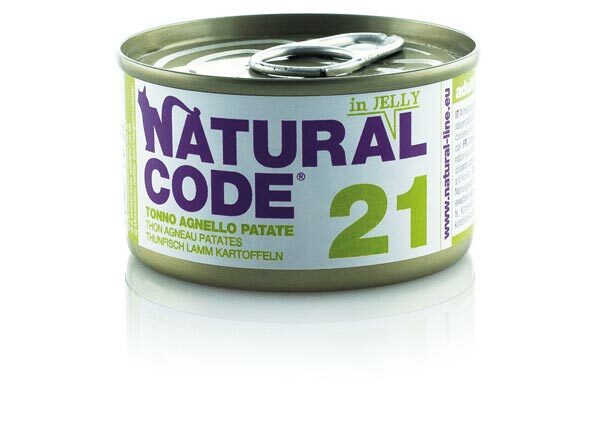 A jelly solution is added to the recipe in order to increase its tastiness and its water content. Two protein sources compose this recipe: tuna, which brings Omega 3 fatty acids, excellent for the health of the skin and for the hair shine and high biological value proteins; ham, an appetitive source of mineral salts. A jelly solution is added to the recipe in order to increase its tastiness and its water content. 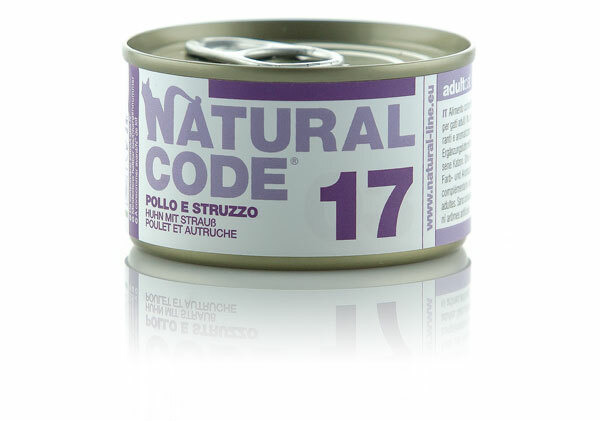 Two highly digestible protein sources compose this recipe and are able to bring high biological value amino acids and mineral salts, essential for the health of the cat. 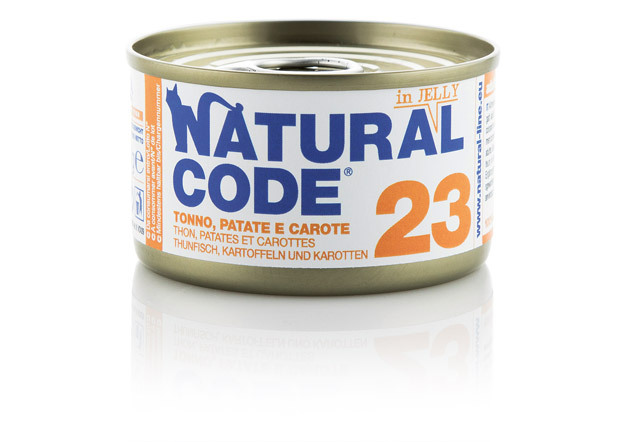 A jelly solution is added to the recipe in order to increase its tastiness and its water content. Chicken is an easily digestible white meat, enriched in this recipe with amaranth, an ingredient with numerous properties: it is not a cereal, it does not contain gluten but it is rich in proteins and essential amino acids, in particularly lysine. Carrots help to provide important fiber to promote intestinal transit. A jelly solution is added to the recipe in order to increase its tastiness and its water content. Notes: Cooking water equal to 46,35% of the recipe. This appetizing menu comes from a mixture of ingredients with very interesting nutritional properties: tuna, which provides high biological value proteins and Omega 3 fatty acids; amaranth seeds from South America, are gluten free; and finally cranberry, a fruit with a powerful antioxidant power. A jelly solution is added to the recipe in order to increase its tastiness and its water content. Notes: Cooking water equal to 47,50% of the recipe. In this preparation are present two marine fish: tuna, very appetizing and easily digestible, and sea bream, reduced in fat content and source of noble proteins. Amaranth, in addition to providing energy, contains mineral salts such as iron, calcium, phosphorus and magnesium. Finally, apple is an excellent source of soluble fiber and contains natural antioxidants. 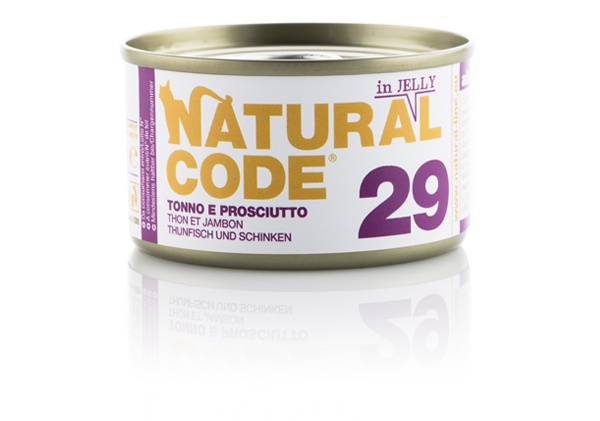 A jelly solution is added to the recipe in order to increase its tastiness and its water content. Tuna, a fish that provides proteins of high biological value and rich in fatty acids of the omega 3 series, binds to papaya, a fruit of multiple properties. The papain enzyme, which papaya is rich in, gives the fruit important beneficial digestive properties, furthermore the richness in vitamins C and E enhances its antioxidant properties. Notes: Cooking water equal to 20,53% of the recipe. This recipe combines two precious raw materials: tuna, a fish with a high protein content and a very intense flavor that provides a high palatability, and kiwi, a fruit rich in vitamin C and soluble fiber, useful for maintaining good intestinal transit. This recipe is perfect for a meal rich in proteins and antioxidants: tuna brings noble proteins and fatty acids of the Omega 3 series, such as EPA and DHA; green tea supplies polyphenols in high quantities and thus acts as antioxidant, slowing down cellular aging. Notes: Cooking water equal to 24,04% of the recipe. 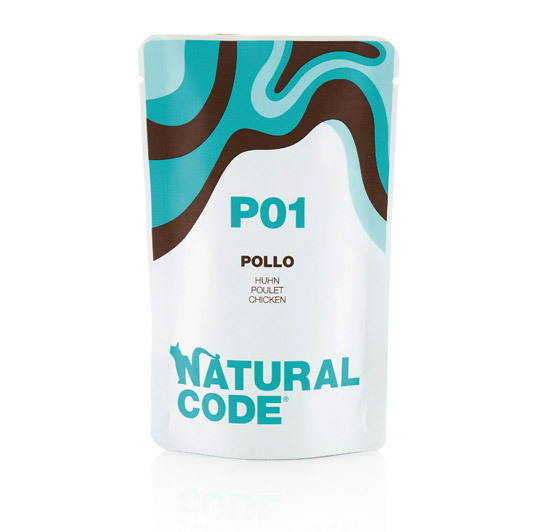 Three protein sources in the same menu, to satisfy even the most demanding palates: tuna, highly palatable and source of Omega 3 fatty acids; chicken, easily digestible and source of Omega 6 fatty acids; and the squid, valuable mollusk low in fat. Notes: Cooking water equal to 25,17% of the recipe. 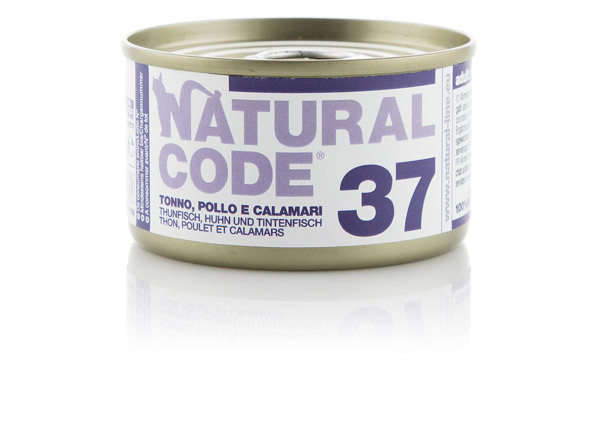 This recipe combines two sources of high biological value protein, marine and terrestrial: tuna and beef. We have added olives, raw material typical of the Mediterranean diet rich in oleic acid and antioxidants, such as polyphenols and vitamin E.
Notes: Cooking water equal to 34,12% of the recipe.